Better in Belize Ecovillage featured on “House Hunters Off the Grid” tonight! The show will air on the HGTV network at 10pm eastern on September 11th and again at 1am eastern on September 12th. Click here for further info about Better in Belize Ecovillage broadcast on HGTV. View listings of all the House Hunters Off the Grid episodes broadcast in the USA. No air date is set yet, however they have begun showing episodes from this season, so it should be coming up soon. You can check the HGTV Canada website. 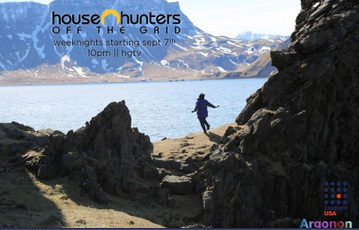 View listings of all the House Hunters Off the Grid episodes broadcast in Canada. Download the app for iPad and iPhone to watch previous episodes. Eventually, the Better in Belize Ecovillage House Hunters Off the Grid episode will be available on iTunes for sale. Tagged Belize Ecovillage, Better in Belize ecovillage, eco-village in Belize, House Hunters Off the Grid, Macal River Valley. Summer Rate Special – Bungalow in Belize Vacation Rental! La Ruta Maya Belize River Race is full of Mud, Sweat, and Cheers!